According to LSA’s (Local Search Association) April 2017 report, “The Digital Consumer Study,” websites were the second most-used media to find local businesses, after Google Search. Mortgage borrowers use websites to find or engage with mortgage companies and loan officers 63 percent of the time. 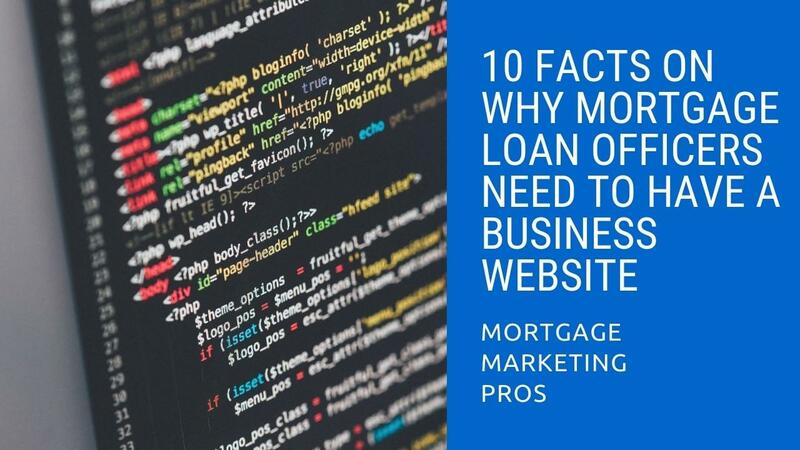 10 Reasons Why Your Mortgage Business Needs a Website? 1. Your Clients expect it. 90% of clients claim that online reviews influence their buying decisions. It’s true that you cannot control what others say about you on social media channels, but you can control public perception by creating your own story via a business website.